Each can of CORE 95% contains a single pure protein plus an antioxidant-rich superfood. 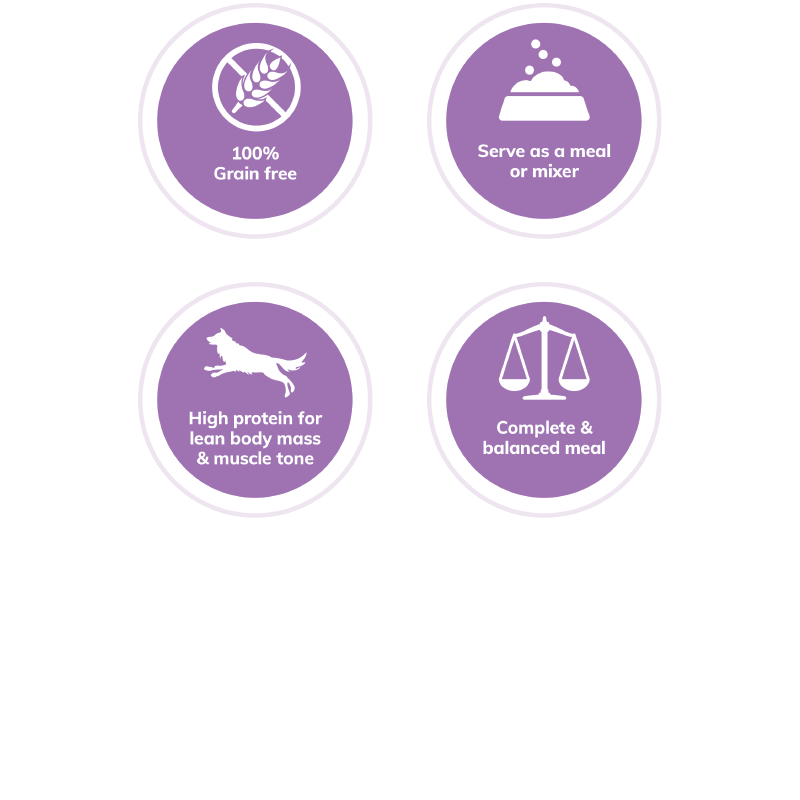 Each recipe is grain-free, protein packed and fortified with vitamins and minerals to ensure your dog has the nutrition they need to thrive from the core. Serve as a complete meal or a tasty topper. Turkey, Water Sufficient For Processing, Spinach, Cassia Gum, Xanthan Gum, Potassium Chloride, Ground Flaxseed, Minerals (Zinc Amino Acid Chelate, Iron Amino Acid Chelate, Copper Amino Acid Chelate, Manganese Amino Acid Chelate, Sodium Selenite, Cobalt Amino Acid Chelate, Potassium Iodide), Vitamins (Thiamine Mononitrate, Vitamin E Supplement, Niacin, d-Calcium Pantothenate, Vitamin A Supplement, Riboflavin Supplement, Biotin, Vitamin B12 Supplement, Pyridoxine Hydrochloride, Vitamin D3 Supplement, Folic Acid), Choline Chloride. Wellness CORE 95% Turkey with Spinach Dog Food is formulated to meet the nutritional levels established by the AAFCO Dog Food Nutrient Profiles for maintenance. Amount of food required will depend on activity, age, environment and breed. 1,436 kcal/kg or 508 kcal/ 12.5 oz.can;1,452 kcal per kilogram or 247 kcal/ 6oz. can ME (metabolizable energy) on an as fed basis (calculated).